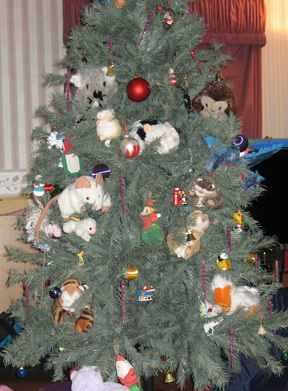 We stuffed the tree with our small puppets. Yes, there is a Drop Bear. All of your company here have been a joy on good days, and comforting and distracting on bad ones. May your holidays and Holy Days be wonderful, and may the new year be at least as good as this one. Merry Christmas Julie! 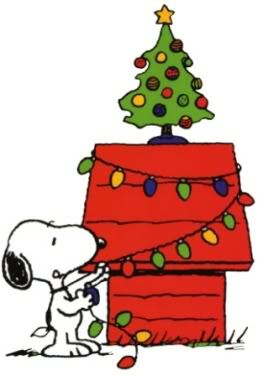 I hope you and your family have a wonderful holiday season! Happy Holidays to everyone in the Pantry! Yes, there is a Drop Bear. Merry Christmas to one and all, members and guests. May your day be bright and happy and your New Year be truly blessed. As per Julie's sentiments, the company here this year has been delightful and I do sincerely hope we have many more years to come. Stay safe, stay calm and stay drunk! I'm a little late to the party for the Aussies, but I wish you all a very Merry Christmas! I'm having company over in a few hours, so I'll probably have to have a glass or two of wine before they show up. The dog got her Christmas presents already (this isn't all of them, by the way). A belated Merry Christmas to everyone and may we all have a wonderful New Year. OK, I give up------- is that a doggy sucker ? Happy New Year, Sharabella. Yes, I am a little early. It looks like some sort of doggy food treat, doesn't it. A friend gave my boys a rawhide bone each - never seen such a serious argument or such guarding behaviour before. Consequently, I threw one in the bin. You don't throw it out. You save it for when they're done with the first one. Yes, it's a doggy sucker, peanut butter flavor, and she loves it. The other night she got up in my face and had massive peanut butter breath. She finished the stick but has been licking the top part for the past few days.